If You Were a Human-Animal Hybrid, What Would You Want to Be? James Patterson’s Maximum Ride series about a flock of flying kids is, for me at least, some of the most interesting reading a bird man (aka aviator, pilot) is likely to find in an airport bookstore. What a fun way to spend a cross-country flight! Now comes news that animal-human embryos have been created in secret, apparently for several years. (See the link, below). While the cries from ethicists and the public are a rising crescendo, and probably overstated once you understand all the facts, the hybridization concept raises an interesting personal question. If I was a hybrid, what would I want to be? Without a doubt, being a human with wings, with the ability of flight, would be my number one choice. Of course, that does bring some hazards; collisions with aircraft being foremost. I don’t think being ingested by the engine of a passenger jet would be a fun way to go. Or being sucked into the updrafts of a potent thunderstorm and spit out, frozen, unable to fly, at the top of the storm 43,000 feet up. That would be a long fall for a bird-human ice-cube. And of course you have the ever aggressive hunters and cryptozoologists anxious to get a piece, or more, of you. But if you’ve read any of the Maximum Ride series, you’re familiar with those human threats. It’s always the humans who seem to be the meanest and most determined. Moving from the avian world to the aquatic, there are lots of options. But I think foremost would be my choice to be a top predator. 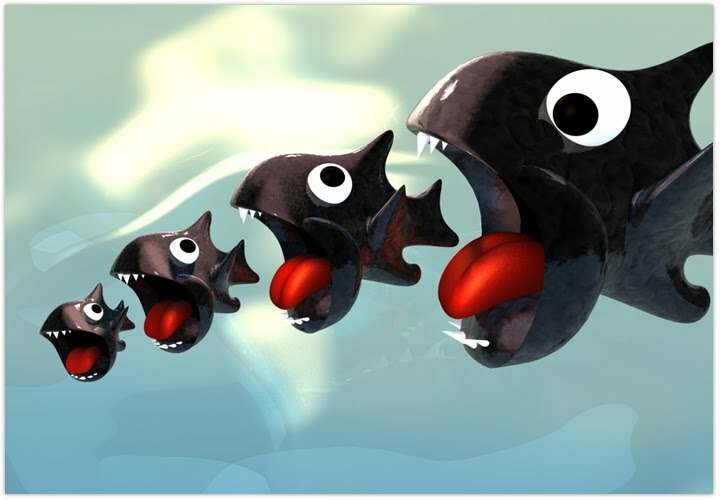 After all, big fish eat little fish, so who wants to be a little fish? Dolphins rank right up there in predatory prowess, although they’re not a fish, but a mammal. And they’re cute and smart. No one wants to be even part of a dumb, ugly animal. For land animals, polar bears are undoubtedly the coolest predator, in an emotional temper sort of way. They don’t seem to fear anything, certainly not humans, who they consider dinner. But they never get to migrate to the tropics for vacation, so I consider that to be a real negative for any potential hybridization. 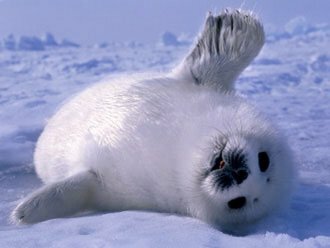 And besides, their favorite food, seals, are cute, especially the baby ones. What humans, even part humans, would want to eat cute food? I think it is easier to think of being all animal than to think of being an animal with human traits like intelligence, speech, artistic and scientific creativity. Nevertheless, Planet of the Apes provided one well-known artistic example of that possibility. 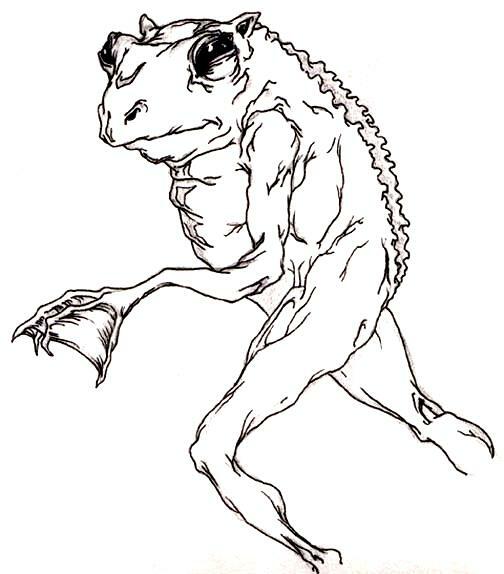 Another is a muscular, arguably intelligent walking frog, as seen here, borrowed from a now-obscure internet site (meaning I can’t find where it came from*). You’ll read more about such creatures in Children of the Middle Waters, when that book becomes available. One unfortunate consequence of being an animal is that most animals are short-lived. There are exceptions of course, like the tortoise, but the 100-year or so life span of a tortoise must seem to drag on forever for them. Certainly a long life span offers some advantages, like the odd mixture of mirth and despair we get from watching our fellow humans repeat the same mistakes over and over. For me, I think the blessed part of it is watching the generations of our offspring growing up and generating offspring of their own. The more I think about the choices for being part animal, the more I think about what it is to be human; all human. As I ponder that thought, I keep returning to the simple fact that, to me at least, being human means we are able to love our spouses and children and parents with a pure unadulterated, non-judgmental, joy; sort of like a dog welcoming its master home. Well, actually, maybe we’re not so different from some animals after all! *My apologies if you created the walking frog drawing. Send me your information and I’ll give you proper credit. Same thing for the other graphics which I believe to be in the public domain. Author jclarke45Posted on July 27, 2011 October 12, 2011 Categories Science and Technology, WritingTags genetic experimentation, human embryos, James Patterson, mad scientists, Maximum Ride2 Comments on If You Were a Human-Animal Hybrid, What Would You Want to Be?